Our customer, Peter and his wife, Sue, bought a house to remodel and then sell it. In other words, they wanted to flip their house. This means they wanted to get a lot of projects done quickly. 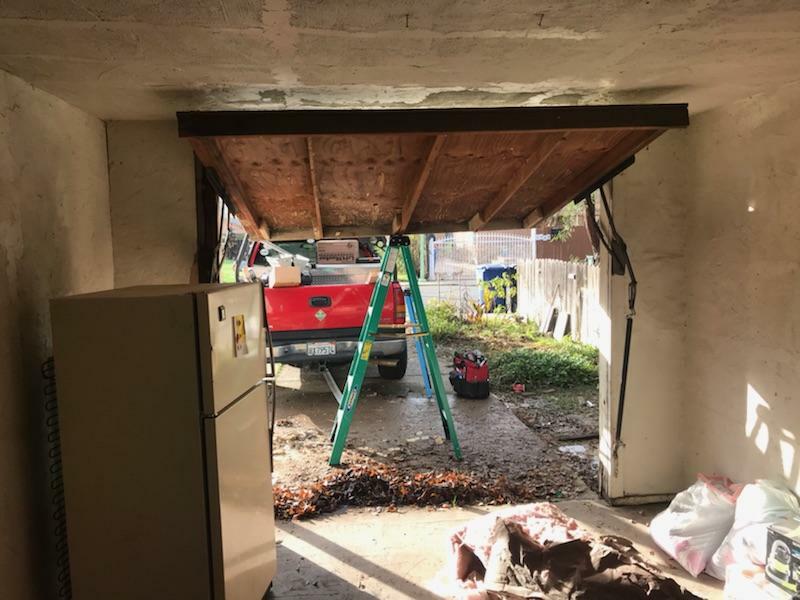 The existing garage door was made of wood, falling a part, and just not functioning. 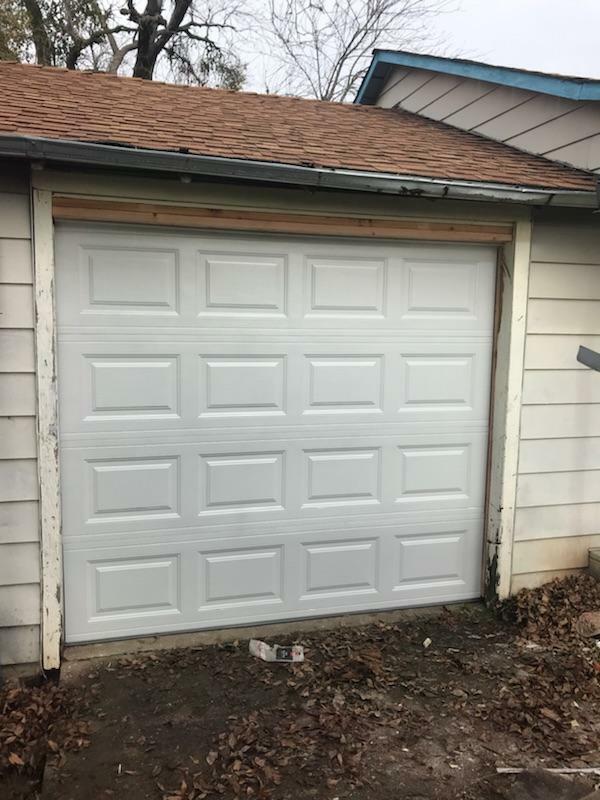 They wanted to install a standard garage door that was updated and fit the space. 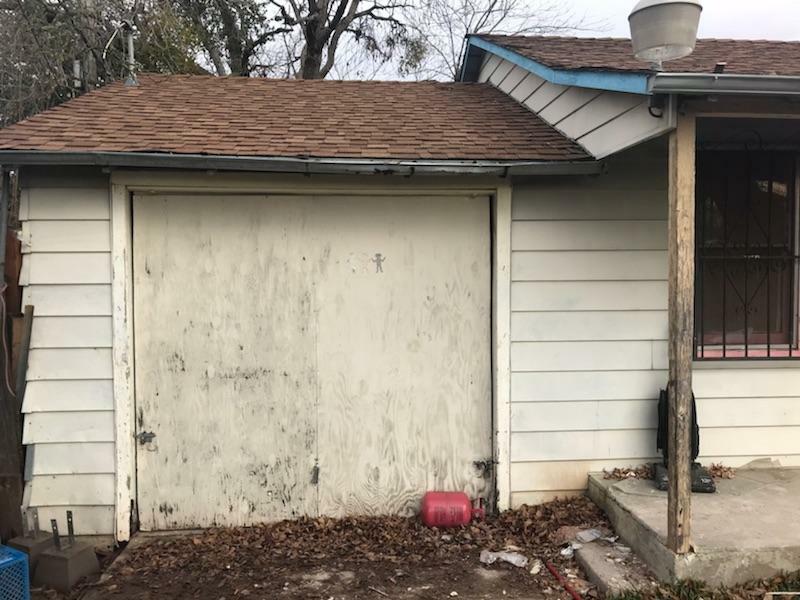 Once we came out to inspect the existing garage door, we noticed in addition to the rotting wood, that the frame was in need of adjustment. The size of the opening would not fit a standard size garage door and Peter and Sue did not want to spend the money for a custom sized door. We adjusted the wood frame opening to fit this 25 gauge steel, short UDT garage door. It fits perfectly and is the affordable upgrade this home needed as part of Peter and Sue’s flip. These First United Door Technologies garage doors are an excellent choice for any project. The steel-backed aspect is great for insulation and keeping the inside of the garage and the house, if attached, cooler in summer and warmer in winter. The door also features a UV protected grooved weather seal, which helps for even more weather and temperature protection. They also come with a lifetime warranty! The 25 gauge garage door defines the thickness of the garage door. Thicker doors generally last longer since they can take more bumps and bruises over time. Add that with the steel insulation, and this is one heavy duty door! Peter and Sue are exited to continue work on this flip in Pasadena, CA and get it back on the market to make a profit! We always love popping in on these projects. We have a quick turnaround time from ordering the door, in case we don’t have it in stock and getting it installed so your other home projects can continue!